I shoot personally and tactically on a team; using Colt, KAC, LMT, Noveske products. Semi-auto you can use what you want. If you shoot Full Auto, you have to have this BCG. It makes all the difference, in knowing your weapon is running 100% of the time, like a fine machine. I've used it enough to be confident in the 100% reliability, which is my personal benchmark for my weapons. It's a fantastic product: smooth and reliable. Great Fail Zero finish. Buffer technology really works well to reduce carrier tilt and helps the gun run more smoothly. No metal on metal clinking sounds in the buffer tube. I own 2 and will buy another soon. Q: Is this compatible with the ruger sr556? A: Thank you for your question. The answer is it won't work with the Ruger SR556. The Ruger SR556 is a piston system and requires Ruger's 1-pc carrier that is specced to their piston system. This carrier with key is a standard carrier that we offer for direct impingement rifles. We do use a 1-pc carrier with buffer technology on our piston carriers; however, they are not for individual resale as they are specced for use with only our piston systems. A: This item is only the bolt carrier. 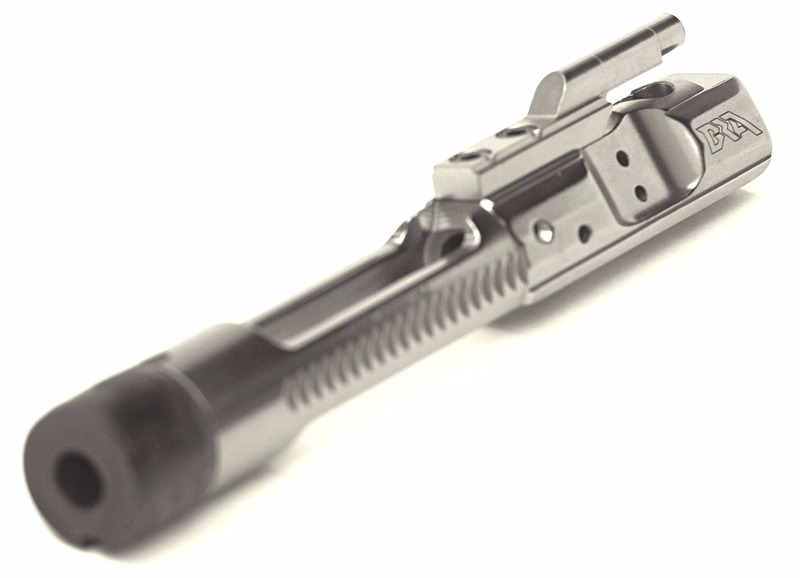 Small parts that make up the bolt carrier group would need to be purchased separately. Some off-the-shelf rifle cleaning solutions such as Hoppe's #9 can react negatively with NiB finishes. Since our carriers have nickel-based coating these should not be used on NiB/EXO coated products. Always refer to the manufacturer's recommendations before use on NiB/EXO coated products. Patented buffer technology has been in use for over 9 years with over 20,000 rounds without needing to replace the polymer buffer; however, if one damages the polymer buffer it is easily replaced.